The Financial Action Task Force (FATF), an independent, intergovernmental agency has released a paper on Bitcoin. The FATF works tohelp governments arou nd the world prevent financial crime, mainly money laundering and terrorist financing. The paper that the task force has released about Bitcoin covers the advantages offered by the digital currency and the potential risks involved in using Bitcoin. Although the coverage of Bitcoin’s– and crypto-currency in general– advantages was wholly positive, the paper’s main focus was on the “risks” created by Bitcoin. While an individual who has done a cursory reading of this paper may believe that the Financial Action Task Force is concerned with protecting the individuals that use Bitcoin– because of their statement that Bitcoin would make it hard for crimes committed against individuals to be solved– a more focused reading reveals the true intent of the report. The FATF report is really not concerned with consumer safety at all, but rather with the threat that Bitcoin poses to the violent power of government. The first half of the report is spent defining terminology for readers who are unfamiliar with crypto-currency. It distinguishes between “centralised virtual currencies” and “cryptocurrencies.” The paper also explains things such as miners, wallets, exchanges, and Tor. Then, starting at the bottom of the 8th page, the Task Force gives a brief paragraph on the advantages of using Bitcoin. This short paragraph on the “legitimate” uses of Bitcoin outlines a few of the myriad of positive things that come from the use of Bitcoin. The paper states that Bitcoin can “improve payment efficiency” and “reduce transaction costs for payments and fund transfers.” Bitcoin can also, according to the report, facilitate micro-payments in stores so that businesses can monetize goods and services that were previously difficult to price. Additionally, the Task Force wrote on how the use of Bitcoin could substantially reform the global remittance market. Because of its instant payments, and extremely low transaction fees, Bitcoin can make it much less expensive for individuals to send money to friends or family members in impoverished countries. Using Bitcoin in this manner would directly compete with traditional bank-controlled wire transfer services, which have enormous international transaction fees that make it very expensive for people to send remittances to those that are in need of them. Therefore, Bitcoin can help lift millions of people in developing countries out of poverty by increasing the amount of private financial aid sent to these impoverished individuals. Lastly, the paragraph concludes by saying that these benefits should be carefully analyzed to determine whether or not subjecting Bitcoin to the traditional financial regulations would eliminate these potential benefits. It seems, to this author at least, that the Task Force pays no regard to actual, Bitcoin-using consumers in this report. All of the things labeled by the paper as “risks” are actually things that make bitcoin marketable as a currency. People want to use currency that makes them anonymous and untraceable because they do not want their governments snooping around in their private lives. If the things that the Task Force highlights as dangerous potentialities involved in using Bitcoin are really things that people want to see in a currency, then it becomes clear that this paper was not meant to warn civilians of the dangers involved in using Bitcoin. Rather, the intent of this report is to warn governments that their monopolies on money are being directly threatened by the growing adoption of Bitcoin as a medium of exchange, and that they should start scrambling to bring this decentralized technology under their control. 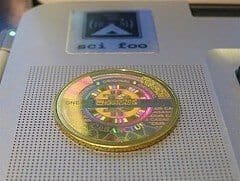 In warning governments of the threat that Bitcoin poses to their violent power, the paper contradictorily uses an aspect of crypto-currency that it previously used as an actual advantage. 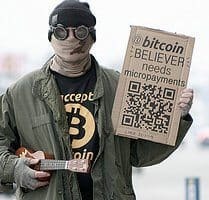 The paper stated that instant payments and low transaction costs allowed decentralized currencies to be sent easily across borders, which could encourage the use of Bitcoin as a method of financing terrorist organizations. Clearly, the benefit that this very same characteristic provides tothose suffering people in poor countries are of no importance when faced with the financing of terrorism, which was wholly created as a response to governments violating the rights and beliefs of individuals. But never mind that, says the Task Force, we are only concerned with maintaining government dominance. Fortunately for Bitcoin advocates, though, reports such as these will likely have no affect on the abilities of the governments to create any effective Bitcoin regulation.